My lovely iPad was thrown to the cement ground in a baseball dugout while unprotected by a 4 year old (not mine) a couple of weeks ago and suffered significant cracks in all corners similar to this picture. I was playing softball at the time and when I saw it I had a really hard time focusing on the ball- I felt nauseous and shaky- and going through my mind was: My iPad, my baby! My husband's going to kill me! I was an idiot to let my kids play it and share it with friends, I can't afford a new iPad... Upon arriving home I did a patch job using packing tape over the corners, what a sad sorry sight! It worked though and felt safe Then a few days later my son was using it and I heard a pop and watched as those corner cracks spidered across my screen and now I have a completely cracked screen. I am using it gently with saran wrap (necessity is truly the mother of invention and it actually works pretty well as a screen cover- although it does scratch easy) over it to test an app and to access apps as I work on an upcoming presentation. My husband tells me I can send it away to Apple or a repair shop and for about $200 I can get a new screen. He also found instructions online for do it yourself repair instructions. A new screen can be purchased through Amazon.com (all links on this post will go to Amazon- I don't get anything from it, it's just the easiest way for me to comparison shop) here for about $30. That is the route we are going to try. I will let you know how it goes. I miss my iPad and am anxous to have it restored to it's former glory. I mentioned in an earlier post how sturdy the iPads are and that my classroom set has survived two years of daily use by 5 and 6 year olds. 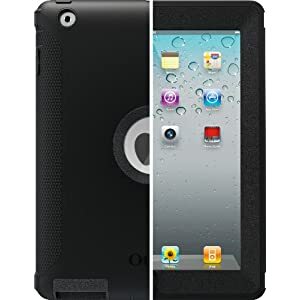 They are ALWAYS protected in a folio style cover which has shock absorbing rubber at each corner. The raised corners also protects the screen from direct contact with a table or floor if dropped. One of the best ways to protect your classroom iPad(s) is to TEACH proper care and use. My rules: iPads are carried with two hands (similar to library books, and yes, we practice! ), one iPad at a time. At cleanup time the children like to take as many as they can to the shelving cart- this is a no no. iPad 'folders' must be closed when walking and stay on at all times. iPads are used only when sitting- exceptions being when doing a marching band, taking photos or videos or other project related activities- playing Angry Birds does NOT count. iPads do not belong at the snack table. iPads left unattended on the ground will be confiscated and placed into protective custody. There are man, many options available to protect your iPad. Covers (the so called 'Smart Cover' does NOT belong in a primary classroom as it falls off much too easily), screen protectors, and stands to name a few. I was given an Ekto2 by Uziball to try out and I am positive if it had been on my iPad at the time of it's abuse it would have escaped injury completely unfazed. It's silicone cushiony goodness would keep an eggshell from cracking (I think. I have not tested it out!) However, on MY iPad the case always hit the power button at inconvenient times and would power off my device. So my children (and I) were always removing it to be able to avoid that pesky flaw. I have a Kenningston Bluetooth Keyboard Folio Case which I love. It was not on my iPad because it needed to be charged. The folio probably would have protected the iPad (the corner protection is a little skimpy), but it's not conducive to play (too bulky) so I am sure the kids would have taken it off too during play so the screen still would have cracked. At least I am telling myself that! This case is great for adults and older students though. IPEVO (the same people who made the amazingly affordable document camera P2V- Point 2 View USB camera)- has a nifty product called the Perch. 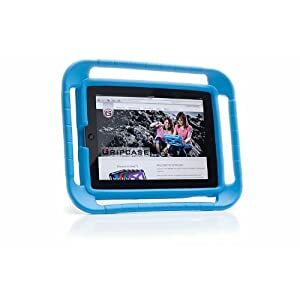 It it good for an iPad in a play center or at a desk. 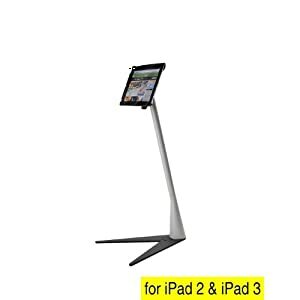 It is not easily portable by children (lets face it- it's during transportation that the iPad is most vulnerable to dropping) but holds the iPad snugly and would eliminate accidentally knocking the iPad to ground from a table. It is easy to adjust the tilt of the screen. There are three options: the tabletop Perch, the couch or podium height- S,M, or L. I prefer the couch height/M for classroom use. What is not convenient is transporting from the perch to a case so that it can be handheld and used by students in other locations. Plus, you'd STILL need a good sturdy case. Certainly this is a good option for students who'd use the iPad only at their desk/table or a teacher with a one iPad classroom. The iGuy has good reviews and look at that playful appearance! but one mentioned some difficulty hooking up the charger (a common complaint amongst cases/covers). Otterbox Defender (left) has a built in screen protector apparently and good reviews. The Gripcase (right) is recommended by Melissa who chronicles her iPad journey in K here. Screen covers MIGHT be a good investment (your first scratch will make you wish you had used one), however, with a good case, the screen SHOULD be safe with normal K use. A good source for screen covers, cases and other iPad accessories would be www.monoprice.com Their cases aren't as classroom friendly as I would like to see, but for screen covers and even iPad stands- check them out. 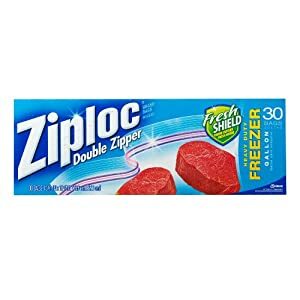 Think Ziplock! 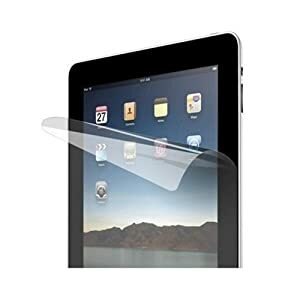 Gallon size ziplock backs seal in iPads beautifully and sandwich bags work great for iPhones and iPods. I am so sorry to hear about your ipad:( Do you have the insurance on it by any chance? Also if it is under one year old the apple store might fix it anyway even if you don't have the insurance. Then they usually tell you that they won't fix it again unless you get the insurance. My nephew works for them. It would be worth a try. Thanks for the condolences! No, I never bought insurance and my iPad is over a year (I got it in April 2011). I kept meaning to get the insurance but put it off. Apple IS a great company and quite helpful I've heard in these situations. Oh I felt sick to my stomach reading this.... I feel so bad for you. I would be heart broken as well! Good luck fixing it! Here's my post about the case I have and I absolutely love it! Thanks Melissa- I am anxiously awaiting the arrival of the repair glass so my husband can fix it for me. I'll add your case suggestion to the post! Oh its a big tragedy you should try some expert to fix this issue its bad with you . Take a look at this iPad cover, www.misstweedle.com. She is an elementary school teacher. The do it yourself repair is possible. The cracked iPad3 digitizer was possible to remove and connecting the new digitizer ribbon cables was easy. Unfortunately the 3rd ribbon cable for the retina LCD display was impossible to re-attach. Had to pay $75 extra to a real iPad doctor to get the LCD cable re-attached to its connector. Kids love these Apple products, but it wont take long before there will be bad news.